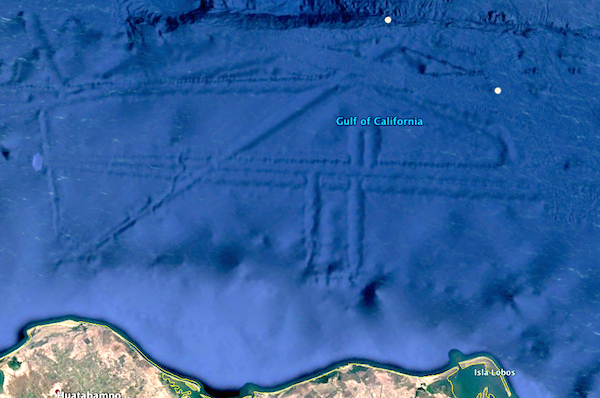 A UFO hunter claimed to have uncovered on Google Earth a massive underwater alien base in the Gulf of California, only 45 miles off the Mexican coast. The alleged alien structure, measuring about 125 kilometers in length, shows clear evidence of being intelligently made, according to alien hunters. The discovery was announced by alien and UFO hunter Mexico Geek, in a video (see below) uploaded to YouTube on July 16, 2016.